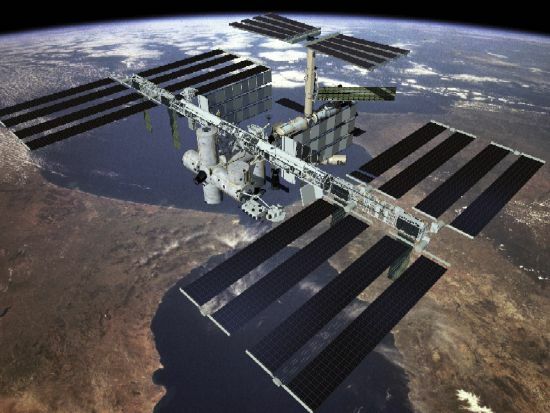 2. International Space Station (ISS):It is one thing making wonders of engineering on earth and a whole different ballgame when you need to do it outside the planet in outer space. The International Space Station (ISS) is a research facility that is a joint project among the space agencies of the United States (NASA), Russia (RKA), Japan (JAXA), Canada (CSA) and eleven European countries. 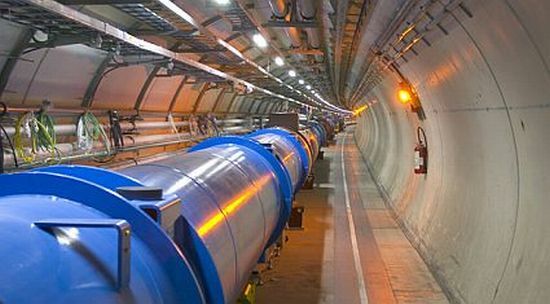 When completed in 2010, it will be the largest and grandest human endeavor away from home, and to build such a massive structure in such dangerous conditions is one magnificent tribute to both human will and skill. 3. 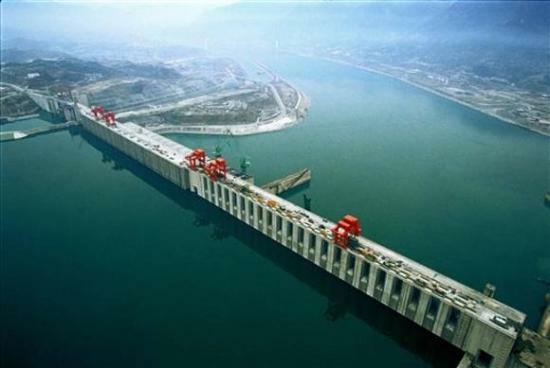 Three Gorges Dam:Taking shape of the largest hydroelectric power plant in the world and that too by a long shot, the Three Gorges Dam in China is not just spectacular to watch but enormous in magnitude. Generating 22.5 GW of power it will supply energy amounting to 4% of China’s national needs. Creating a reservoir as large as Lake Superior, this dam will be good as a grand marvel of modern engineering by becoming the world’s largest concrete structure! 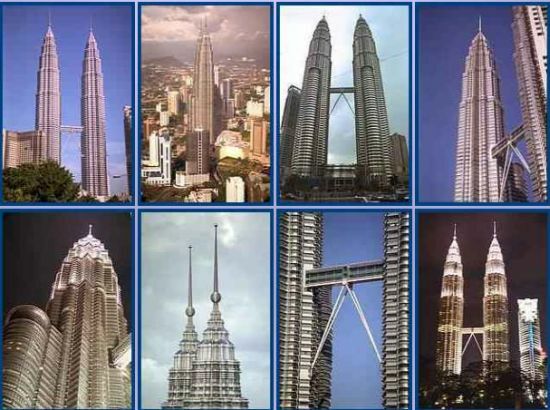 At 452 meters tall, the Petronas Twin Towers are magnificent and unique. While their familiarity seems at times to diminish their true aura, you only need to stand in front of the towers for one moment to realize the magnitude of the construction. For sheer intimidating height and the sophisticated look, they are a marvel of modern times. 5. 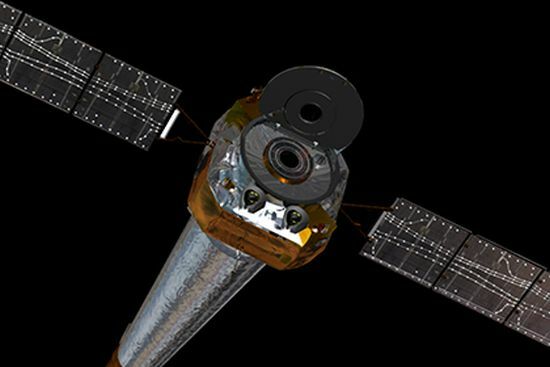 Space Telescope Chandra:Also known as the Advanced X-ray Astrophysics Facility, Chandra is an X-ray telescope orbiting the earth and sending back the most spectacular images of the cosmos that man has ever captured. The telescope moves in an orbit which makes it the furthest traveling earth-orbiting man-made object. The X-ray images offered by Chandra since its launch have redefined our notions of the cosmos and have given astronomy a whole new direction. 6. Palm Deira of Dubai: Palm Deira is the latest of Dubai’s trilogy of man-made islands. 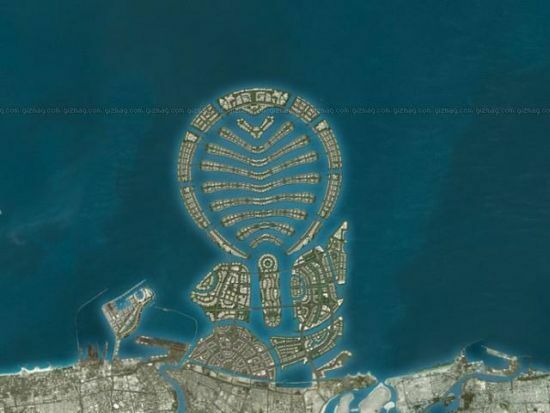 This island will occupy all of 46.35 million square meters of land reclaimed from the Persian Gulf to make the Palm Deira the largest man-made island in the entire world. All set to be finished by the year 2013, the island will further alter the landscape of effervescent Dubai! 7. 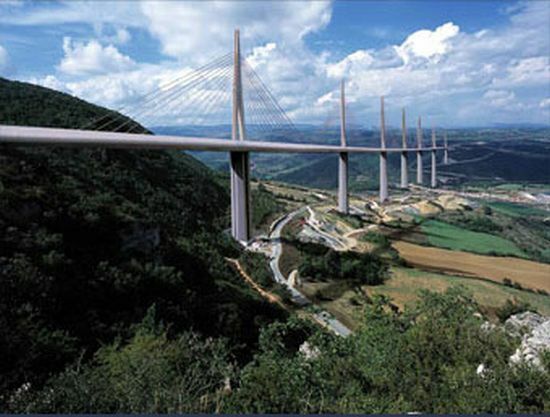 Viaduc de Millau Bridge: Stretching higher than the Eiffel Tower, the Viaduc de Millau Bridge is a marvel of art and architecture that caught the eye of even flamboyant French President Jacques Chirac. Stretching across southern France’s Tarn River Gorge, it is 1.6 miles (2.6 kilometers) long and soaring to 1,132 feet (343 meters) at its highest point, it is the tallest bridge in the world. Built by the firm that also built the Eiffel Tower, its spectacular presence bowls over one and all! 8. 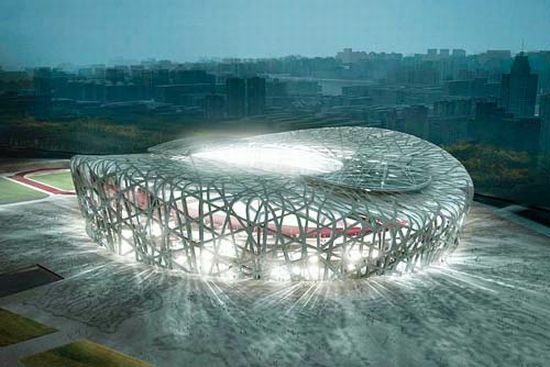 Bird’s Nest:The Bird’s Nest in the heart of Beijing needs little introduction to anyone, and it is one structure that has now become synonymous with the Olympic Games. Apart from its grand, yet unique design, the stadium is the world’s largest steel structure. No other man-made structure used up as much steel as the Olympic Stadium, with its intricate yet hypnotic design. That surely sets it apart in terms of being a one of a kind venue in the sporting world. 9. 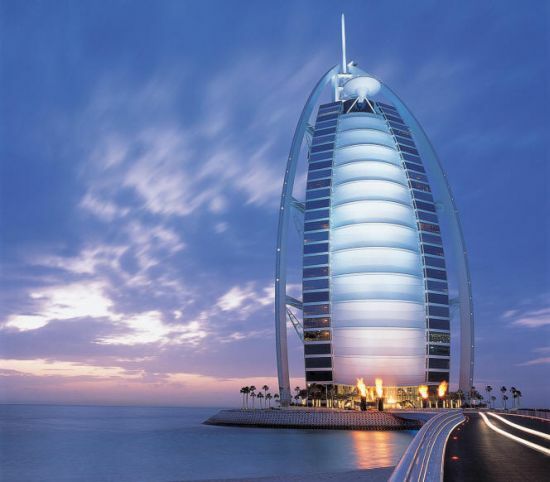 Burj-Al-Arab Hotel:By now almost everyone knows about the Burj-Al-Arab, and if you have not heard of it or seen its picture till now, then welcome back to earth. The hotel stands at a height of 321 meters and is the tallest operational hotel in the world. While the Rosa Tower is set to soon take away that crown, it still will not diminish the unique aura of the Burj, with its unique shape and its own artificial island. This is one hotel where you can live it up in a grand style! 10. 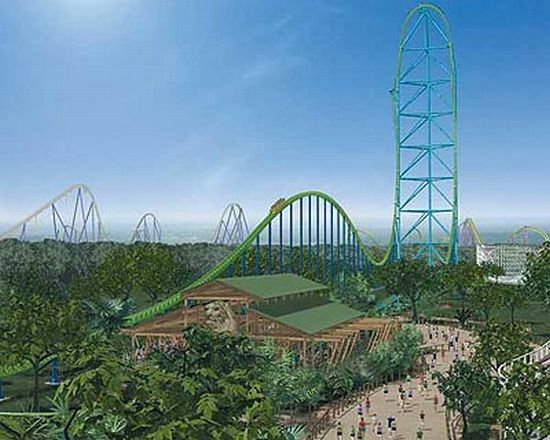 Kingda Ka Roller Coaster:At a height of 456 feet, the Kingda Ka Roller Coaster is the tallest fun ride in the world. Located in the Six Flags Theme Park in New Jersey, the ride will take you into a different world and even before you know it, you will be plunging back towards earth at a speed of 128 mph. This heart-stopping and mind-numbing ride is not just the tallest in the world but also the most exhilarating. This is a modern marvel that is just for fun and adrenaline, and that makes it our personal favorite!